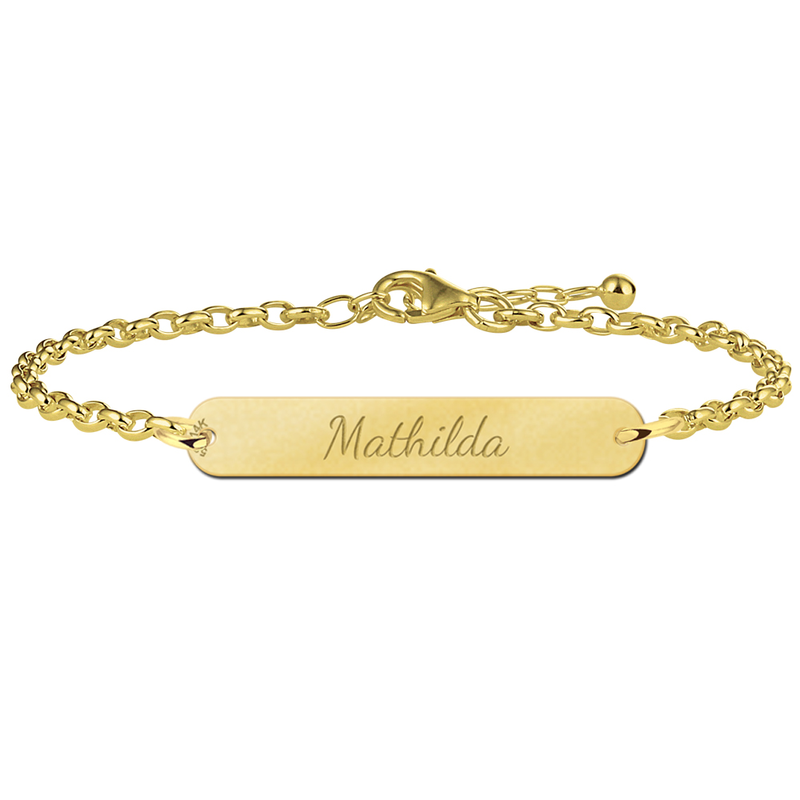 Are you looking for a personalised bracelet of with your own name? 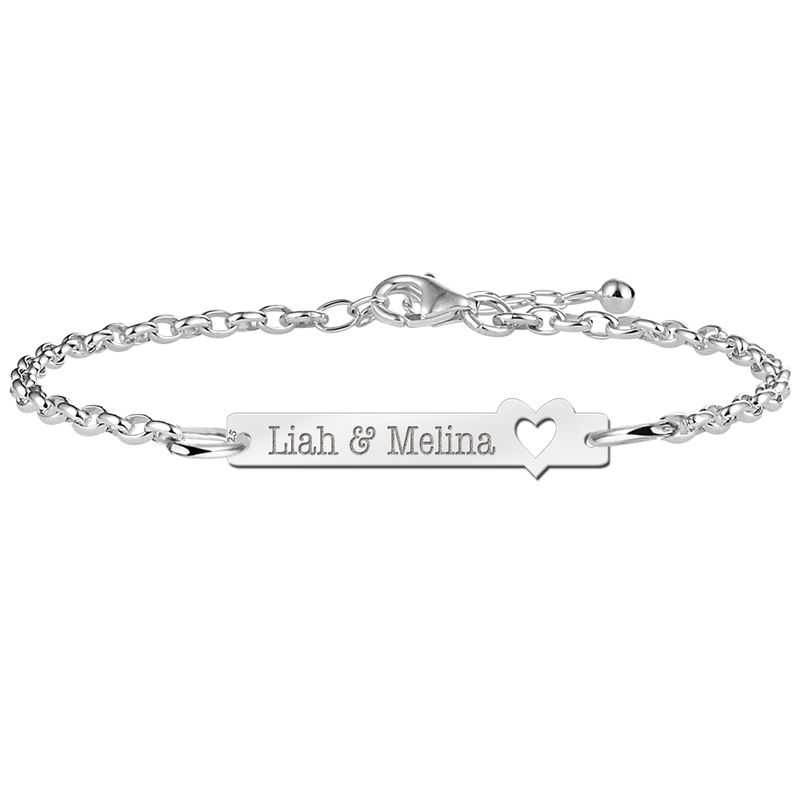 At Names4ever you can purchase the best quality personalised bracelets at low costs. 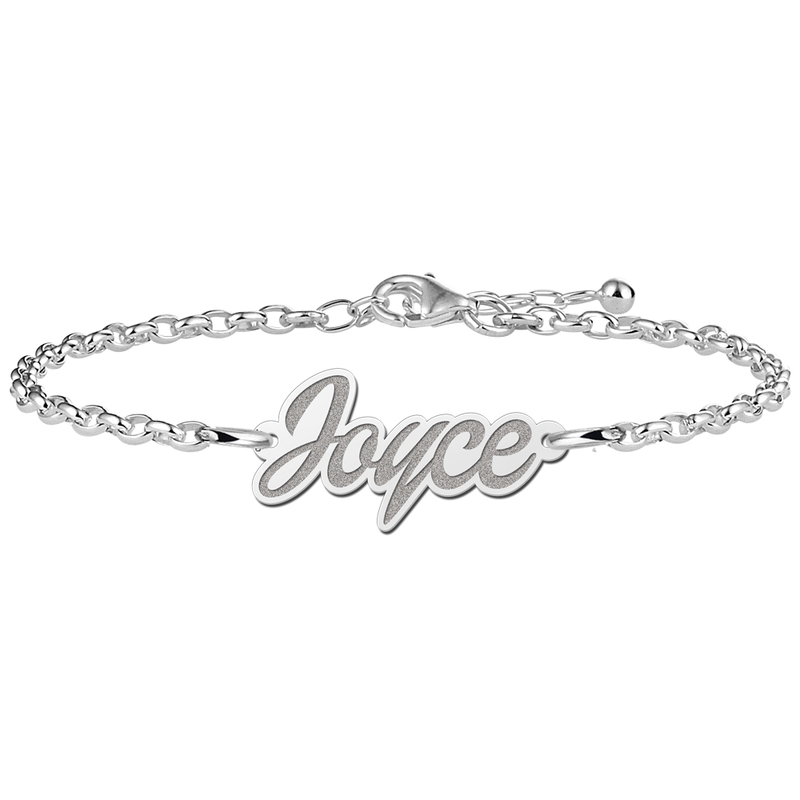 Our bracelets with name are made out of 925 sterling silver and because it is an open link bracelet it can be adjusted in size easily. 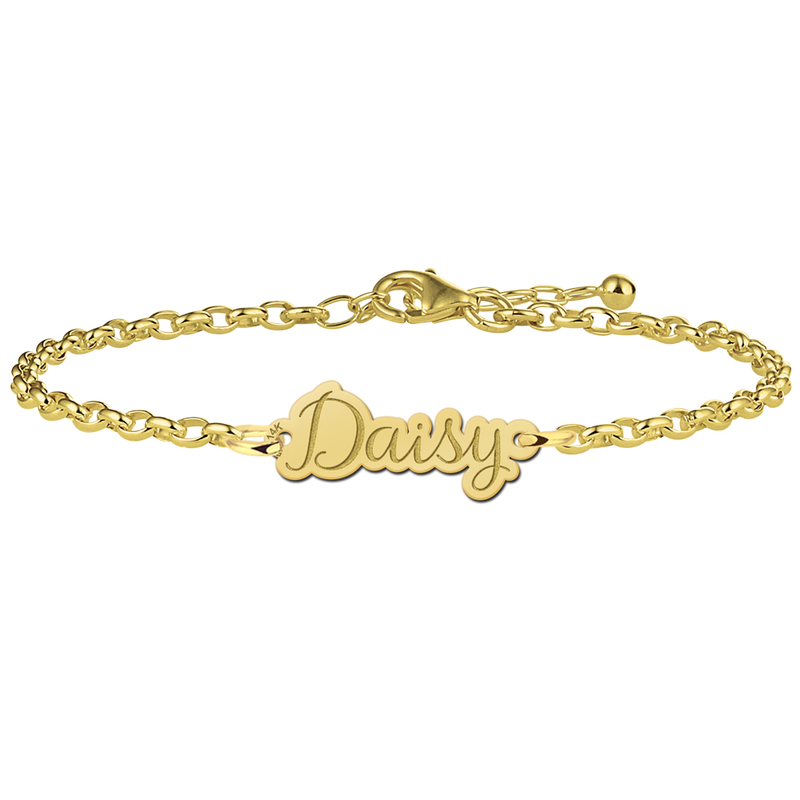 We have different kind of personalised bracelets with name or text and all are suited for every occasion. Every bracelet will be personalised by us, as we engrave the bracelet with your name or cut out the name in the tag on the bracelet. 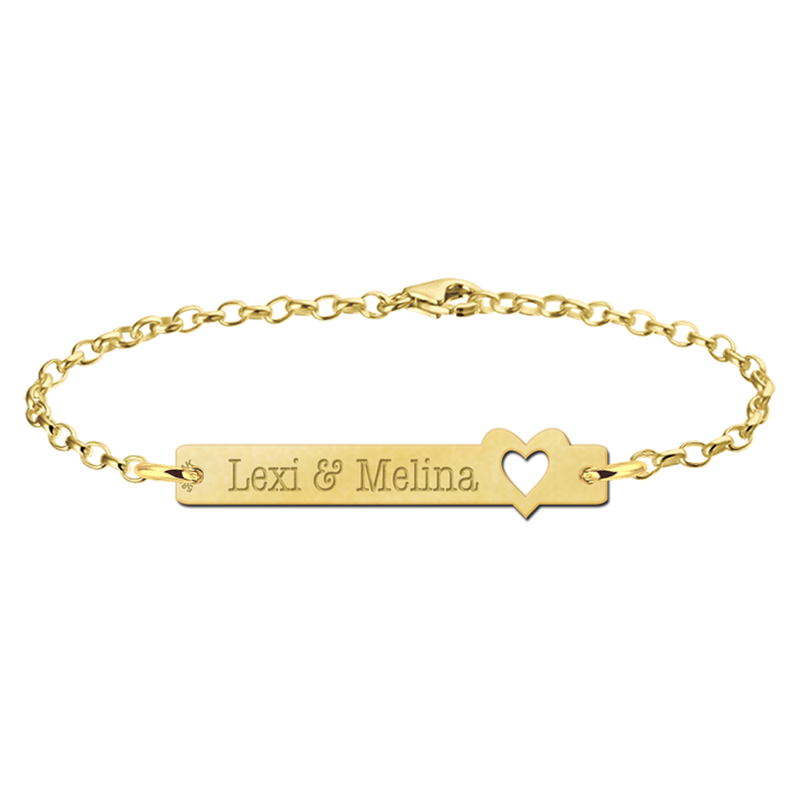 It speaks for itself that you can choose to engrave your own name on the bracelet. 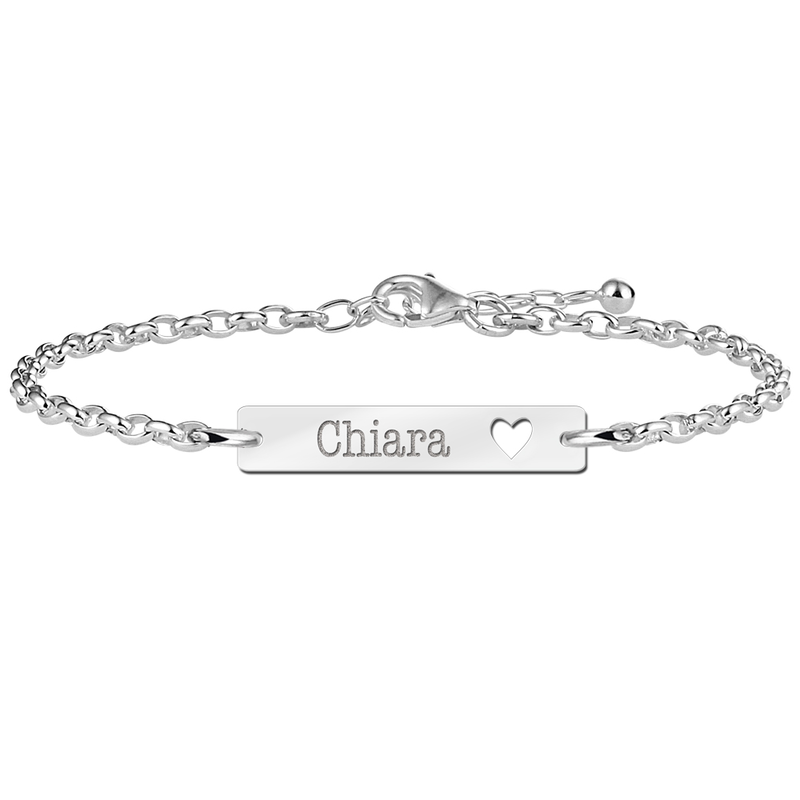 But it is possible as well to have the name of your child engraved on the bracelet. 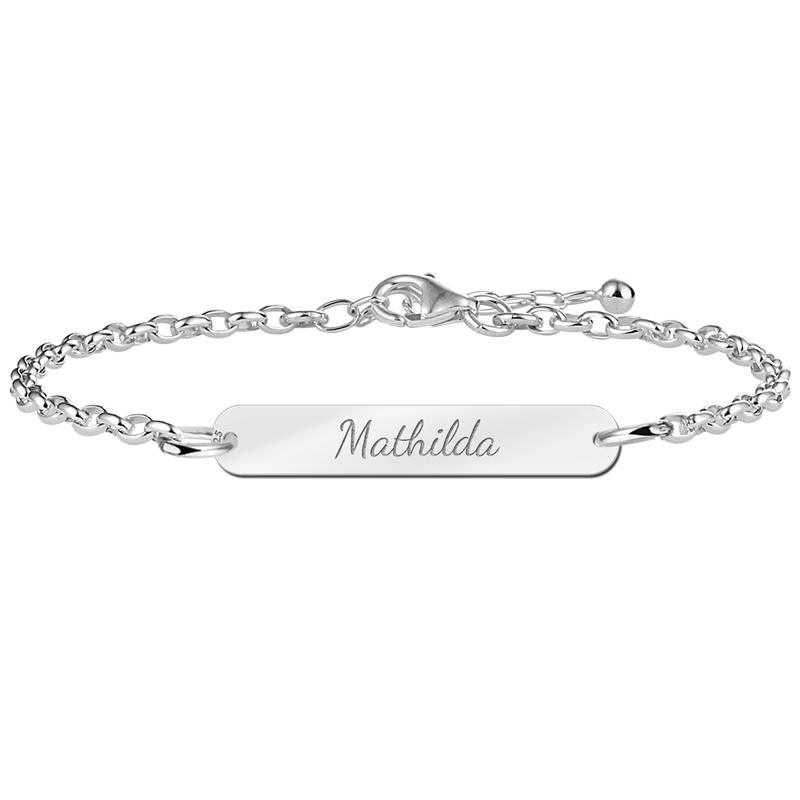 A bracelet with the name of your child has a symbolic value for all of us. It is as if you wear your child always close to you. 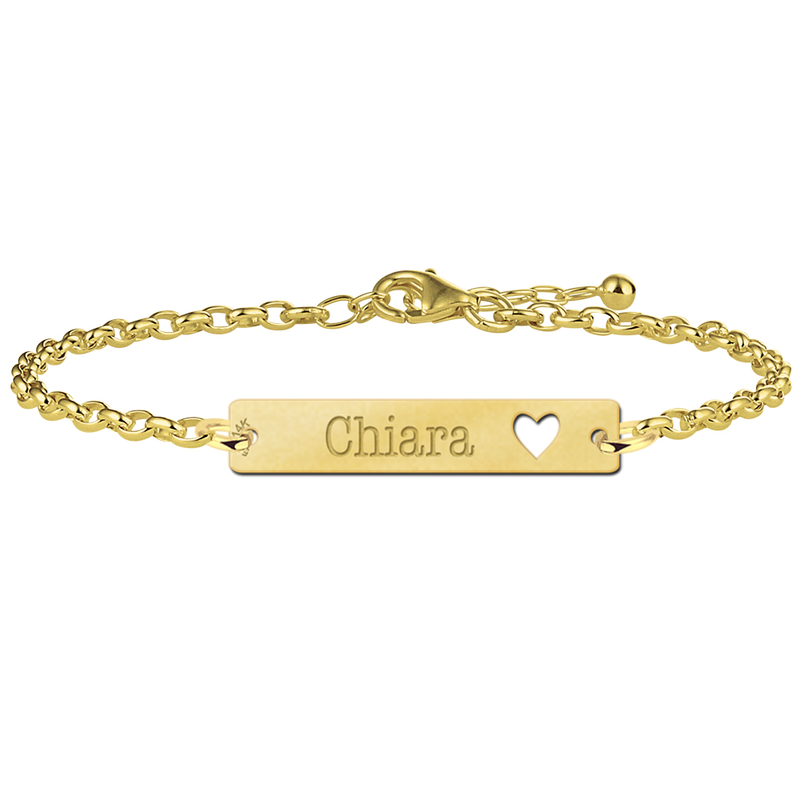 If the personalised bracelet is not for yourself, you can purchase it as a gift as well. 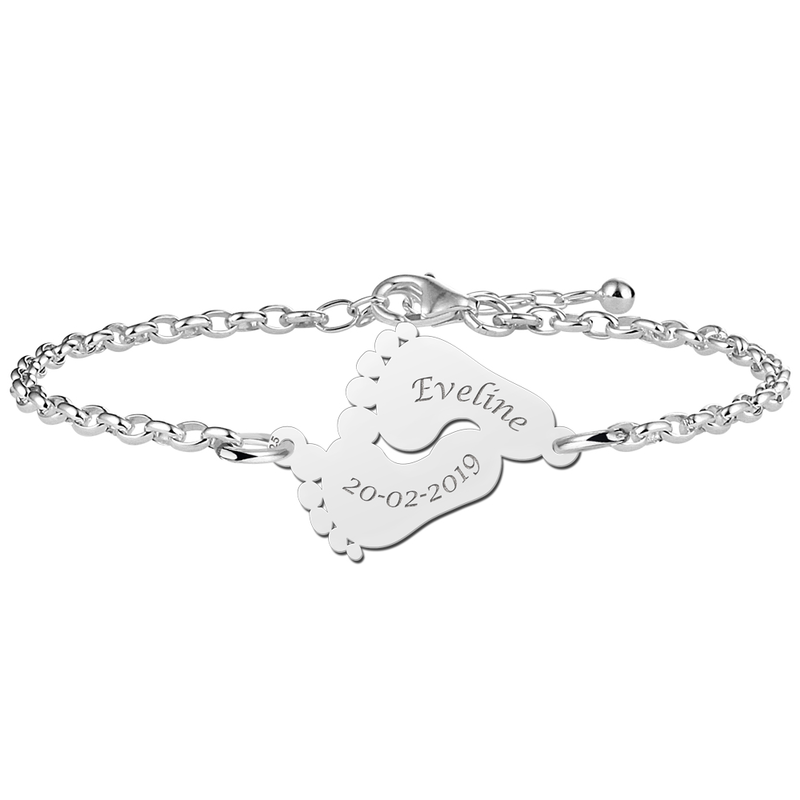 An engraved baby personalised bracelet is for example often given as a baby shower gift for the mother. 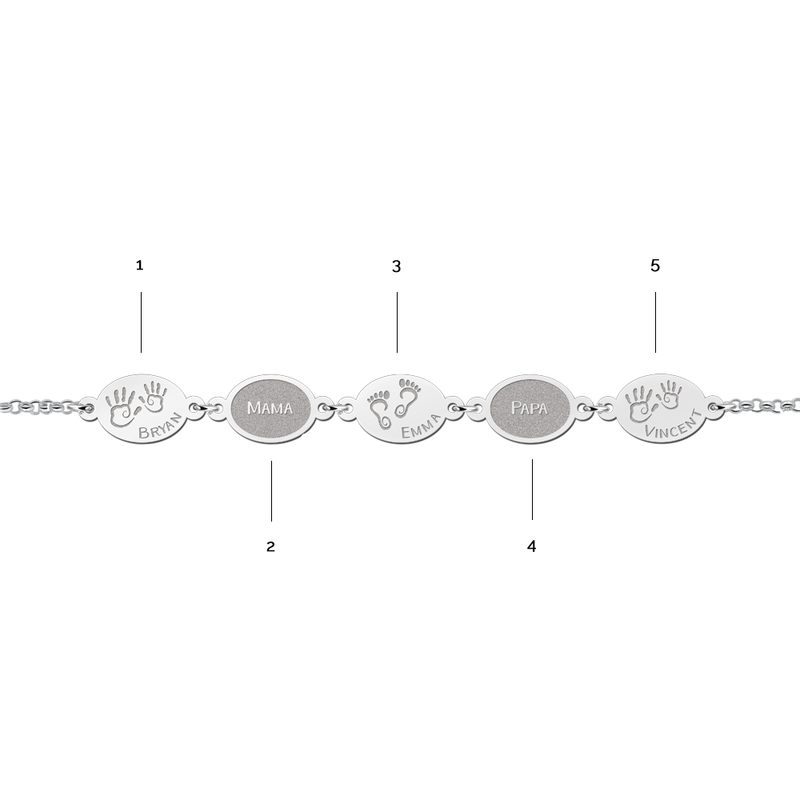 But sometimes it is given in a smaller version to the baby as an engraved baby bracelet. 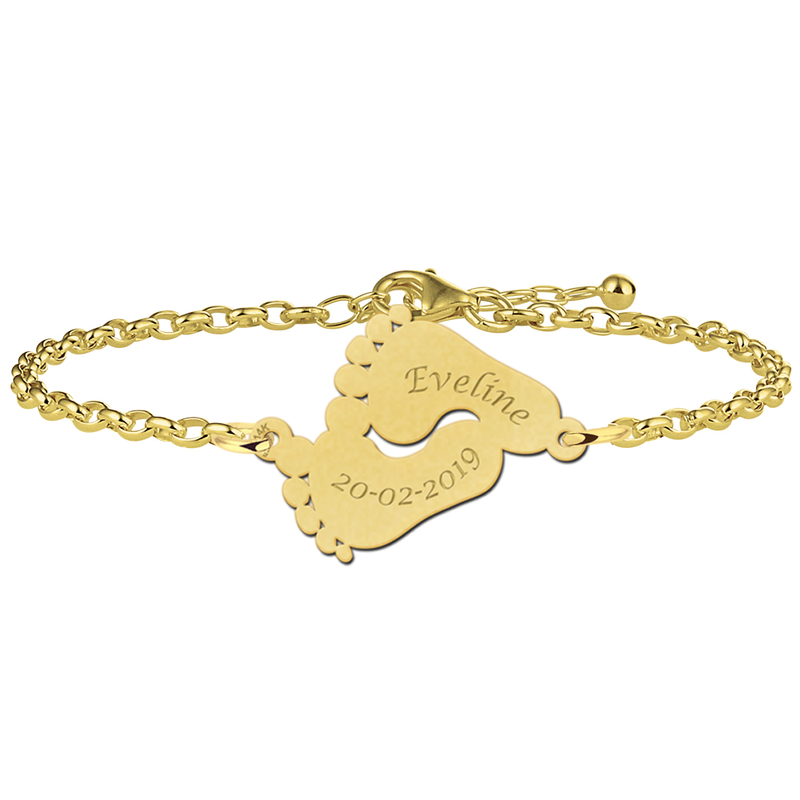 And often a combination is given, so that you have a mum bracelet with name together with a baby bracelet with name. At Names4ever we are specialized in making custom jewellery as we personalise everything. Besides the possibility to have a personalised bracelet, you could choose for a text engraving in the bracelet. It can be an important life spell or an important date for you. Whatever the text will be, we will make sure it will be engraved custom for you beautifully. 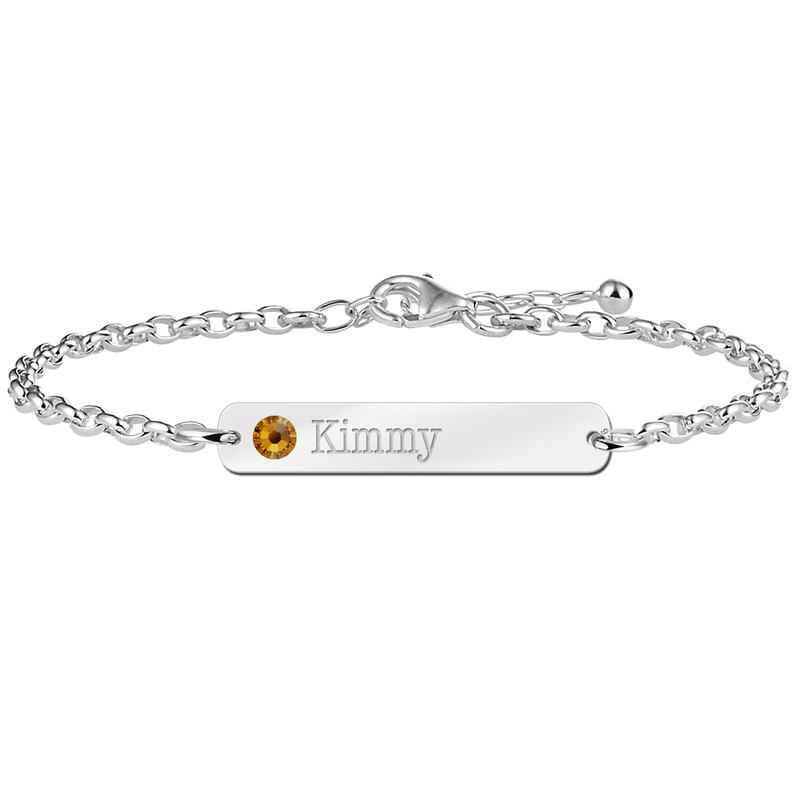 All of our personalised bracelets are delivered with a ladies bracelet with open link. Because of the open link in the bracelet, the length can easily be adjusted. Therefore the bracelet can be worn by everybody. For some models we offer a combination with a smaller length size, so that the bracelet can be worn by girls at a younger age as well. 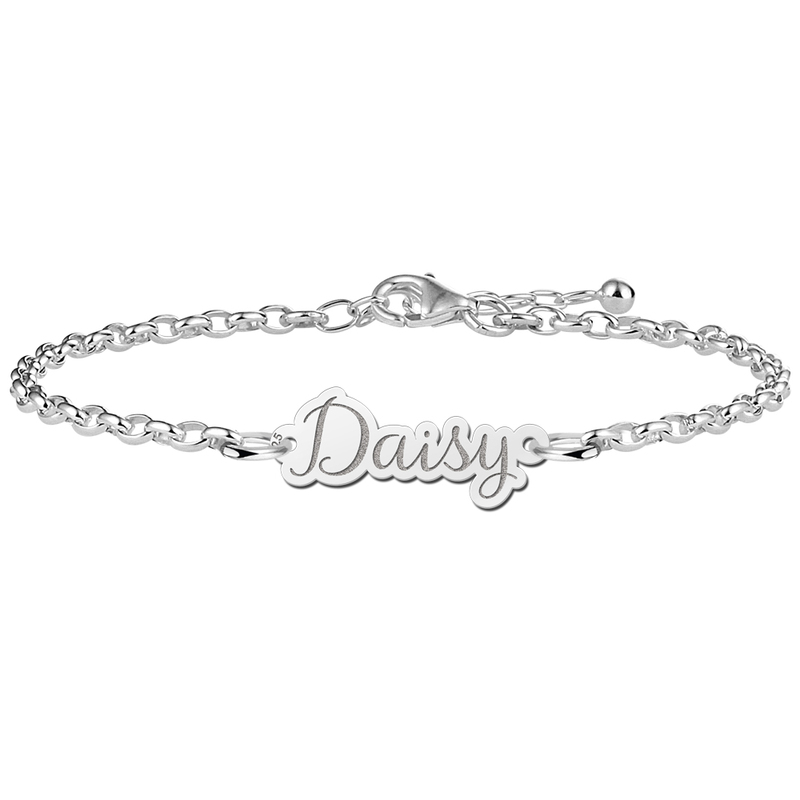 Are you looking for a different type of personalised bracelet than the bracelets on this page? Besides our regular personalised bracelet we have other types of bracelets. For example we have our charm bracelets, inifinty bracelets, monogram bracelets, Shamballa bracelets and the SOS bracelet. Whatever personalised jewellery you are looking for, at Names4ever you will always succeed. Do you want to expand your bracelet collection quickly? At Names4ever the production of every personalised bracelet is started right after the order. Within 3 working days the name or text bracelet is finished and will be shipped to you by mail. So don’t wait any longer and order your personalised bracelet today!